The book examines the underlying principles that guide effective teaching in an age when everyone,and in particular the students we are teaching, are using technology. A framework for making decisions about your teaching is provided, while understanding that every subject is different, and every instructor has something unique and special to bring to their teaching. The book enables teachers and instructors to help students develop the knowledge and skills they will need in a digital age: not so much the IT skills, but the thinking and attitudes to learning that will bring them success. This resource includes translated versions in French, Spanish, Vietnamese, Chinese, Portuguese, and Turkish. Teaching in a Digital Age is used under a CC BY-NC license (https://creativecommons.org/licenses/by-nc/2.0/ca/). Teaching in a Digital Age by A.W. (Tony) Bates is licensed under a Creative Commons Attribution-NonCommercial 4.0 International License, except where otherwise noted. The text is quite comprehensive covering impressive ground regarding the various theoretical and practical considerations related to technology mediated teaching and learning in post-secondary contexts. Bates orients the reader to foundational theories and practices in higher education, (e.g. epistemologies of teaching and learning, major theories of learning, the nature of knowledge, conceptual models of instructional design, etc. ), referencing the landmark scholars and theorists of the field. The text covers many of main points of debate to be expected in framing a comprehensive and informed conversation in higher education and digital technologies (e.g. the changing nature of teaching, the purpose and role of higher education, the advantages and disadvantages of new trends such as MOOCs and open education). Later chapters transition from theory to models of practice that aid the reader in identifying tangible processes for transforming their teaching for the digital age, such as models for decision-making. Overall, the structural elements - Table of Contents, chapter overviews, and headers - provide a clear and consistent navigational structure to the breath of material covered. Throughout the text, there are clear connections to scholarly works and literature that support Bates’ position. Reference lists are incorporated throughout sub-sections of each chapter making it clear where and how ideas presented in the immediate section relate to scholarly works. However, there are no in-text citations. Incorporating in-text citations would better allow the reader to distinguish between opinion and scholarly-based evidence. Reflection questions are presented throughout chapters. These questions most often aim not to bias the reader’s thinking towards certain perspectives or attitudes over others but rather to invite critical analysis from the readers own perspective, inviting them to take a stance for themselves. Many sections present the various perspectives to a topic and further present the advantages and disadvantages of those perspectives in a balanced and unbiased way. Personal comments and opinion is included but as supplementary podcast material that readers opt to explore in addition to the text. 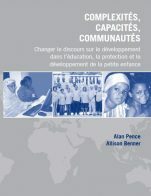 Overall, the text is up-to-date and relevant with long-term sustainability and relevance. Two chapters stood out as potentially dating the text: Chapter 5 (MOOCs) and Chapter 10 (Trends in Open Education). Many might argue these topics are trends that, if presented on a limited scope, might easily date the text. However, Bates’ explores these contemporary topics such as MOOCs and Open Education with clear thought given to the longevity of the material. For example, the MOOCs chapter defines MOOCs by outlining the key design principles, helping to emphasize the pedagogical innovations over the hype or trendiness of the topic. In future versions of the text, I suggest the re-organization of chapters to place contemporary topics and trends in digital teaching such as MOOCs and Open Education in series. Finally, given rapid developments in the area of educational technologies, I anticipate the text will become dated by the topics it does not cover, for example, eLearning ecosystems and next generation digital learning environments (NGDLEs). Bates brings a wealth of expertise both in subject matter and in communicating it through his writing. Bates seems attuned to the places where readers may need an orientation to the jargon of the field so that readers can become versed in a language for discussing digital pedagogy. Terms are clearly defined and introduced. The list of takeaways for each chapter are exhaustive and, for the most part, effective in providing the reader with clarity. The intended outcomes for Chapter 11 seem to capture, more broadly, the outcomes for the book as a whole. It would have been more effective if the takeaways for each previous chapter were more succinct and more clearly connected to those final outcomes presented in Chapter 11 as it seems this is the essence of the book. The length of the book raises a point of concern around accessibility for me. 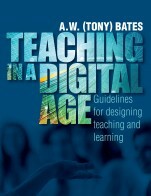 If the purpose of the book is to support the novice digital instructor to become more digitally savvy in their teaching, at 628 pages (downloaded) the book is simply too long for the majority of instructors to identify as an accessible read that they might be willing to give their time and attention to. The text makes consistent use of activities (scenarios, stories, conversations) in a way that actively engages the reader in pausing and reflecting or applying the material presented. The structure of each chapter is consistent in layout and presentation. The content of Chapters 6 and 7 are somewhat inconsistent from other chapters with an apparent increased use of bulleted lists to convey information. For example, the bulleted list of advantages and disadvantages of computing as a teaching method stands in contrast to the literature-informed and balanced presentation of strengths and weaknesses of MOOCs. There is consistently poor image quality throughout the text. For example, Figure 8 The SECTIONS model figure is of substandard quality and weakens the integrity of the message. Remaining figures suffer from low quality resolution, blurred photography, red underlining from Microsoft Word spell check drafts, etc. Sub-sections of chapters are consistently organized to include reflection activities and reference lists, rather than placing these elements at the end of the chapter. This structure strongly supports the modularity of the text. As it supports the adoption of not only specific chapters but specific sections of the text without losing the supplementary content. The text is rarely self-referential aiding the ability to re-organize or use parts without needing reference or connection to the whole. Chapters begin with a statement of purpose and concludes with key takeaways, this structure provides clear bookends to what the chapter is about and how the purpose was achieved. Further, the beginning of each chapter provides an overview of the chapter’s structure with links to the subsequent sections. This aids with navigation of the text (a helpful addition given the length of the text). Reflection activities and references are consistently incorporated throughout. There is a reoccurring, predictable structure to each chapter. Overall, the interface is clear of issues. I did not encounter any navigation problems as I made use of the text and found the interface supported my desire to move around between sections of the text effectively. As noted in comments under the consistency feild, There is consistently poor image quality throughout the text. Image quality in PDF download was regularly poor. The PDF does not maintain its hyperlinks. There were no noted grammatical or spelling errors. The text is written in clear and accessible language. This text is written to convince readers of particular philosophical beliefs about teaching and learning. This presents a culture shift for some. Yet, Bates presents this shift in a way that is accessible to diverse perspectives. He has written his arguments in a way that inoculates against common criticisms arising from epistemologically different stances by making it clear how the perspectives being presented are oriented within a larger context of various stances. In this way, he helps the reader appreciate the tensions regularly felt across post-secondary campuses with regards to teaching. The scenarios and case study examples reflect cultural, gender, and ethnic diversity. This text is most appropriate for instructors or students learning about teaching and learning at the university level. Components may also be applicable to K-12 teachers and teacher candidates. As a Contact North | Contact Nord Research Associate, Bates brings a Canadian perspective to the work and the text is appropriate for a Canadian context. 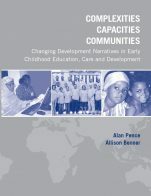 As mentioned in other sections of this review, future iterations of this text would benefit from the following updates: (1) revised and improved images and diagrams, (2) consideration to the organization of chapter topics, placing trends/contemporary considerations such as MOOCs and Open Education in sequence, (3) addition of those developing trends in eLearning and digital teaching/learning becoming increasingly relevant, e.g. eLearning ecosystems, next generation digital learning environments. The text addresses all areas and issues associated with teaching in a digital age. Dr Bates addresses the challenges associated with traditional teaching approaches and offers suggestions for updating those approaches. He begins by providing a context and rationale for the need to change, compares traditional approaches with current ones, and then proceeds to offer teaching approaches that will bring educators into the digital age. Along the way, readers are continually invited to participate in reflective activities that have them examining and questioning their own practice. This is an important consideration if the necessary changes to teaching practice are to take place. Subsequent editions might delve further into specific areas such as learning theories, and research-based teaching and learning strategies. There was also little or no mention of learning styles (except for a reference in the bibliography). Educators have been on the 'learning style' bandwagon for some time now despite the recent revelations that the research on learning styles is flawed. Dr Bates might address this so that teachers can update their practice. Content is accurate, error-free, and unbiased. I would say that the content is MORE than up-to-date. It is actually quite anticipatory of future content as well. The fact that this is an open resource, with interactive activities, and updated podcasts, make this a growing, changing text. It won't ever be obsolete, but will incorporate new issues and situations that arise. There is a sense that we need to return to the book for updates if we want to remain current. The text is easily accessible, even to the educator who is not quite ready for epistemology and theories of learning. The practical nature of the text makes it more accessible to everyone. The narrative is almost conversational--it is as if Dr Bates is in a room with the reader, expecting active participation and responses. This is just the approach necessary if change is to happen. The text is fairly consistent in terms of terminology and framework. Chapter 9 might be better placed in the earlier conversations about approaches and methods of teaching. While Dr Bates offers a very practical approach and is credible in his efforts, there are places in the text where live examples could be used to model the talk and enhance the consistency of the messages. For example, when I taught chapter 7 to my class of college educators we created a virtual jigsaw (in Google Docs) to compare the various media methods. Students also created lessons (Google Slides) to summarize some chapters. We used metacognitive skills throughout to reflect, and assess our reflections. It was these kinds of activities that consolidated understanding and new learning. I found the short sub-units of this text very helpful in assigning the sections relevant to our situation. For example, while my class addressed the trends in open education (chapter 10: OERs, and chapter 5: MOOCs), it was apparent that this audience was not ready to assess these yet. It was helpful to be able to introduce these ideas and address specific points that they were familiar with. The smaller reading sections and subheadings made it easier to be flexible. This text offered better alignment to our course description than the one currently in use. Topics were presented in a logical sequence for the most part. I did find that Chapter 9 (9.1 and 9.2) was better addressed earlier on, but 9.3 -9.5 seem to be well-placed. I have used this OER in a class as well as in several conference presentations where participants had little time to prepare to download the resource. I did not encounter any interface issues, navigation problems, or display issues in any of these situations. I was pleasantly surprised at how easy it was to access the text, and to navigate the chapters. This feature also gives leverage to the role of OERs---they certainly make learning more accessible in a variety of situations! The text is not culturally insensitive in any way. It did make use of examples that are inclusive of a variety of races, ethnicities, and backgrounds. I was pleasantly surprised to see a familiar face in the Connections example (1.2). I was a principal at Taylor's Education Group in Malaysia for 3 years and know Daniel Tan, whose profile is highlighted. I feel that Dr Bates went to great efforts to be inclusive. I think this book is an excellent guide to help teachers make the necessary changes to their practice so that they can be effective teachers in the digital age. The text is more than just a practical guide...it is a (gentle) call to action: gentle, because it is like having a face to face conversation with someone who is experienced, knowledgeable, and patient. Dr Bates knows that the secret to teaching is not just telling but asking. He continually asks us to examine our own practice, relate the new learnings to our own practice, and consider changing our practice. This approach models exactly how we should teach in a digital age. Strong coverage of areas and ideas of the subject. Index in the version of the text which I accessed is incomplete, listed as "under construction". There is no glossary. This is a text about methods, concepts, and approaches for teaching using online technologies. As such, the content is--- by definition--- highly subjective. This subjectivity does not present a problem for the purpose of this book. The text is presented as a work in progress which can be added to and enhanced over time. This is appropriate given its subject. One of the strongest aspects of the text is that it is extremely reader-friendly. I have used this text as a teaching text in a graduate-level course in Instructional Design due, in large part, to its internal consistency. The text is presented in small, modular sections which can be assigned as reading in accordance with the presentation of topics in a course of study. This is a text on learning with online technology designed for access (primarily) online. The interface has been intentionally designed to facilitate ease of use for the reader.